Summer is drawing to a close, and with it comes the end of IWCO Direct’s summer internship program. This is my fourth year as an intern here, and each time the end of the summer rolls around, I’m astonished by how much I’ve learned. What has kept me coming back? Every year, IWCO Direct continues to fulfill its promise of providing great mentorship and meaningful projects that prepare its interns for the workplace. All of IWCO Direct’s interns were able to contribute work that made a real impact this summer. Cory Rickheim and John Hokeness, Marketing Services interns, did research to create valuable reference materials for internal teams. In Quality Control, Kal Lunde made in-depth quality checks of client mailpieces. Josh Everly, a Software Engineering intern, created and updated workflow charts for the IT department. Austin Patton, working in the Safety department, reviewed lockout/tagout procedures to ensure technicians’ safety when servicing machines. Alex Hoffman, a Continuous Improvement intern, created an Excel spreadsheet calculator to standardize calculations of print quantities and reduce cost and waste. Working in Client Services in our Warminster, PA facility, Olivia Fortna participated in a Kaizen event for disaster recovery exercise process improvements. In my Technical Writing internship, I reviewed the efficacy of training materials and advertised training offerings. Another opportunity offered to IWCO Direct interns was the chance to participate in the planning and execution of its annual charitable giving campaign. This year, many of the interns were able to work on this multi-team effort, giving them insight into the process of managing a large project while making a positive contribution to the community. We couldn’t have accomplished all of this without the support of the outstanding mentors at IWCO Direct. All of us had great things to say about our supervisors, who gave us guidance on our projects and our careers. IWCO Direct also introduced us to a group of mentors from all over the organization who helped us see how the entire operation fits together, and how our work affected other areas of the company. If you’ll be looking for an internship next summer, we would all wholeheartedly recommend IWCO Direct. 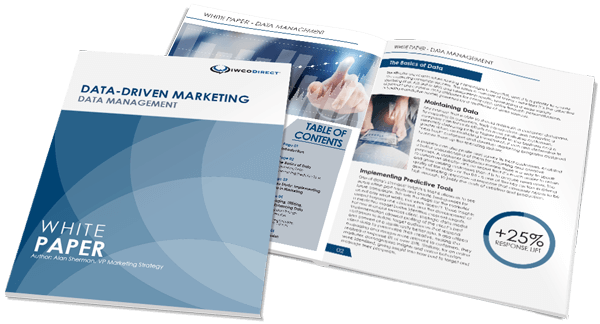 You’ll learn about the direct marketing industry, a surprisingly complicated endeavor that involves many layers of collaboration and a multitude of diverse skills. You’ll be able to learn from supportive, knowledgeable mentors from all over the organization. Best of all, they’ll teach you valuable skills that will be beneficial throughout your career, and you’ll make a significant impact that you can be proud of.